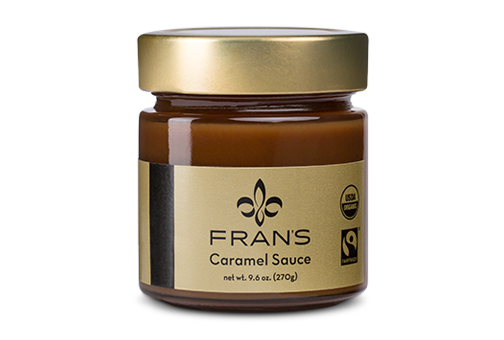 Privacy is important to Fran's Chocolates, Ltd. and its affiliates (collectively, "FCL"). This privacy statement explains data collection and use practices of the www.franschocolates.com site (the "Site"); it does not apply to other online or offline FCL sites, products or services. By accessing the Site, you are consenting to the information collection and use practices described in this privacy statement. We will ask you when we need information that personally identifies you ("personal information") or allows us to contact you to provide a product or service or carry out a transaction that you have requested. The personal information we collect may include, without limitation, your name, e-mail address, credit card information, physical address, and phone number. The Site may collect certain information about your visit, such as the name of the Internet service provider and the Internet Protocol (IP) address through which you access the Internet; the date and time you access the Site; the pages that you access while at the Site and the Internet address of the Web site from which you linked directly to the Site. This information is used to help improve the Site, analyze trends, and administer the Site. The personal information collected on this Site will be used to operate the Site and to provide the products or services or carry out the transactions you have requested or authorized. FCL may use personal information to provide you with more effective customer service, to improve the Site and any related FCL products or services, and to make the Site easier to use. Information collected by the Site may be combined with information collected by FCL from other sources. We may use your personal information to provide you with important information about the product or service that you have purchased or inquired about. Additionally, we may send you information about other FCL products and services, and/or share information with FCL partners so they may send you information about their products and services. FCL may hire other companies to provide products or services on our behalf, and we may provide such companies with the personal information they need to perform their duties. FCL may disclose personal information if required to do so by law or in the good faith belief that such action is necessary to (a) conform to the edicts of the law or comply with legal process served on FCL; (b) protect and defend the rights or property of FCL; or (c) act in urgent circumstances to protect the personal safety of FCL employees or agents, users of FCL products or services, or members of the public. Personal information collected on the Site may be stored and processed in the State of Washington or any other state or country in which FCL or its agents maintain facilities, and by using the Site you consent to any such transfer of information to another state or country. Please be aware that this privacy statement and any choices you make on the Site will not necessarily apply to personal information you may have provided to FCL in other contexts. FCL will use commercially reasonable efforts to protect your personal information from unauthorized access, use, or disclosure. However, due to computer hackers, electronic malfunctions, and other events, FCL cannot guaranty that such safeguards will always protect such information. The Site is a general audience web site and does not knowingly collect any personal information from children. You have the ability to accept or decline cookies. Most Web browsers automatically accept cookies, but you can usually modify your browser setting to decline cookies if you prefer. If you choose to decline cookies, you may not be able to fully experience the features of this or other Web sites you visit. Web beacons, also known as clear gif technology, or action tags, may be used to assist in delivering the cookie on the Site. This technology is a tool we may use to compile aggregated statistics about the Site usage, such as how many visitors clicked on key elements (such as links or graphics) on a web page. We may share such Site statistics with partner companies. We may update this privacy statement from time to time. When we do, we will also revise the "last updated" date at the top of the privacy statement. We encourage you to periodically review this privacy statement to stay informed about our practices. Your continued use of the Site constitutes your agreement to this privacy statement and any updates. If you believe that FCL has not adhered to this privacy statement, please contact us at orders@franschocolates.com.